If you're in the market for a dependable contractor that will make your Hauppauge home look and function its best, don't hesitate to call the pros at Magnum Contracting Group. Our roofing repair and kitchen remodeling services will get your Hauppauge home in the best and most beautiful shape possible, guaranteed! When age and nature have worn down your roof, your entire home in Hauppauge could suffer, as water-related damages could become prevalent. 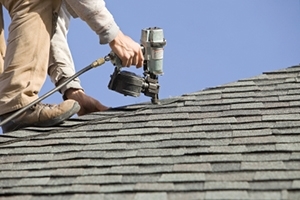 To keep your home safe, keep your roof in quality condition. And to return it to quality condition after it's suffered damages, call our experienced team for our dependable roofing repair service. There's nothing like coming home and whipping up a delicious meal for your loved ones. And you can enjoy this already-wonderful pastime more than ever before by getting a kitchen remodeling with us. We'll provide you with a kitchen that's laid out and designed in a way that best suits your tastes and needs, and we'll do so in no time at all! If you are looking for a professional Hauppauge roofing contractor or remodeling company, give Magnum Contracting Group a call today at 516-277-2300 or complete our online request form.